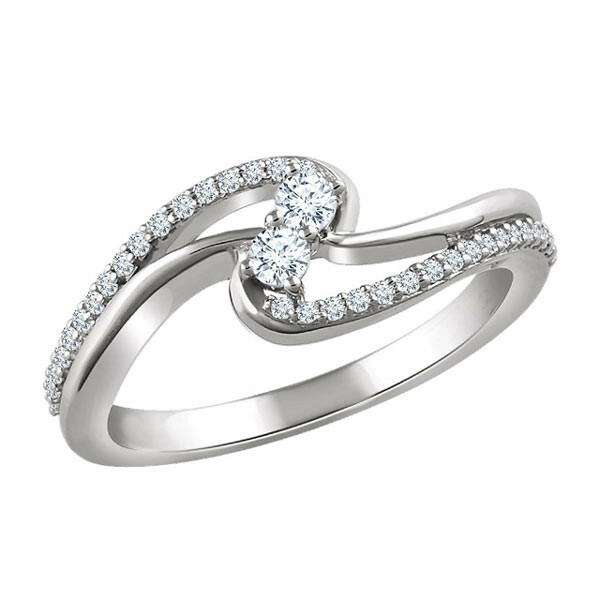 Ride the wave of compliments you'll receive when you wear this two-stone diamond ring! Crafted in 14kt white gold, the swirling piece sparkles with sophistication. Pretty pave diamonds complement the dynamic gemstone duo that serve as the centerpiece. It's easy to see why people will take a shine to this radiant ring!